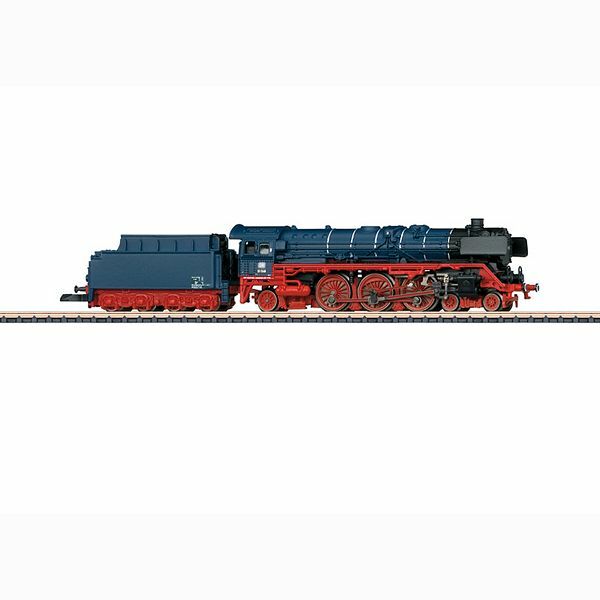 Model: The locomotive is in the fine steel blue paint scheme with silver boiler bands, exclusively for members of the Märklin Insider Club. The locomotive has finely detailed valve gear, imitations of the brakes, reproduction of the inductive magnet on the right side, buffer plate warning stripes, and LED headlights on the front. The model is packaged in a fine wooden box. Length over the buffers 112 mm / 4-3/8".